This is a must-do for all of the Princess fans out there. Princess Fairytale Hall has two sides and two completely separate lines, so the first trick is deciding who you want to meet. The current choices are Cinderella and Elena OR Tiana and Rapunzel. I usually favor the Tiana and Rapunzel side because the interaction with those two is always fun. Princess Fairytale Hall itself is nice because you wait in line inside (in the air conditioning) for the most part, and you have the option of reserving a FastPass to decrease your wait time. The theming inside is true to Fantasyland and the Royal themes, and it gets you geared up to meet your favorite Princess. The room where you meet the Princesses also provides a nice backdrop and lighting for photos. Plus, you wait in line once to meet 2 Princesses, so that is a win in my book. I love meeting Buzz, Woody & Jessie—they are some of my favorites, and the interaction is always great with them. You will find Jessie & Woody together in Toy Story Land meeting guests with Buzz just down the way. Since you’ve been shrunk down to the size of a toy when you enter Toy Story Land you have no problems playing with these fun characters. On a recent trip we asked Buzz about his Spanish mode and he had my friend press one of his buttons and then he danced with her. Woody, Jessie & Buzz are sentimental favorites for me, but they also have a great time with guests, so stop by and say hello when you are in Toy Story Land. If you are a fan of Star Wars, then Launch Bay is the one and only place for you to meet your favorite characters from the franchise . . . at least until Galaxy’s Edge opens in Fall 2019. Currently you can meet Chewbacca, Kylo Ren, and BB-8 in Launch Bay. Each character has a great background so that your photos look like you’ve met up with them in the Star Wars Universe. And waiting on the characters is nice too because there is a lot to see in Launch Bay with movie props and other Star Wars themed areas. Plus—it is inside in the air conditioning. If you are a Disney Visa Cardholder there are also certain times of day when you can access an exclusive meet & greet opportunity. There are several places where you can meet Mickey & Minnie at Walt Disney World, but I want to give a shout out to the meet and greet at Disney’s Hollywood Studios. I think it may get a little overlooked since the entrance is tucked out of the way near the ABC Commissary, and often the lines aren’t too bad. Plus, you wait in one line and get to meet both! Minnie is first dressed in a classic Hollywood look that is perfectly matched to Disney’s Hollywood Studios theme—it is a very glamorous photo op. 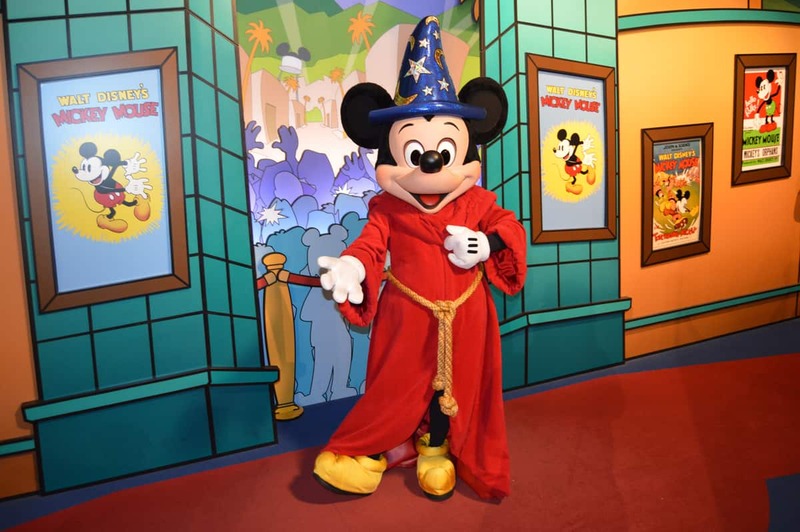 Then Mickey is dressed in his starring role as Sorcerer Mickey complete with the appropriate backdrop. If you like to find Mickey in multiple outfits while at Walt Disney World this is one you don’t want to miss. Mary Poppins is probably one of the best character interactions out there—her very persona lends itself to memorable interactions with guests. Mary Poppins currently meets guests in the UK Pavilion in Epcot’s World Showcase and in the Gazebo behind the Christmas Shop in Magic Kingdom’s Liberty Square. I am sure as the movie is released around the holidays her meet & greet will become even more popular. There are so many things to chat with Mary about, prepare ahead of time and practice saying Supercalifragilisticexpialidocious (forwards & backwards . . . bonus points for spelling). Merida meets guests outside in an elaborate Scottish Castle courtyard at the Magic Kingdom—just to the right of Cinderella Castle on the path that leads to the Mad Tea Party and Cosmic Rays. The setting is very nice and as you enter you feel that you have stepped into the movie Brave surrounded by tapestries and other props. 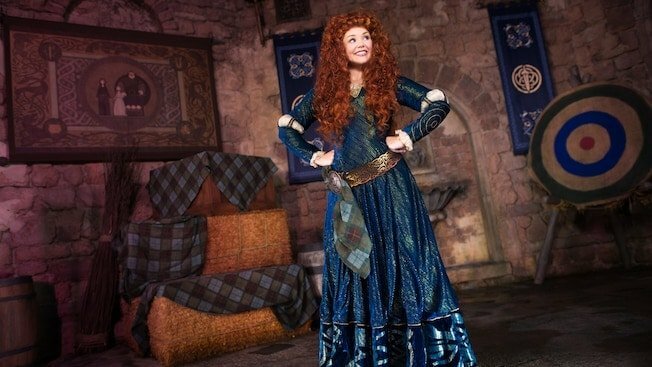 And Merida herself is a great character who interacts very well with all of her guests. The only downside to this one is that it is outside, and waiting in line can be a little warm. Located in the Storybook Circus area of Magic Kingdom, Pete’s Silly Sideshow is a delightful meet and greet with a fun theme. Set in the big top (back behind the souvenir shop and near the Casey Jr. Splash Pad), Pete’s Silly Side Show is home to Daisy, Donald, Goofy & Minnie Mouse all sporting their circus personas. There are two lines, one to meet the boys and one to meet the girls, and waiting is inside. You can meet The Great Goofini, The Astounding Donaldo, Minnie Magnifique and Madame Daisy Fortuna. Each character is in a circus sideshow costume and has a great back drop to match. The interaction and the photos are so fun! In order to meet a fairy you have to shrink down to fairy size. In the Town Square Theater on Magic Kingdom’s Main Street there is some serious pixie dust that can make you just small enough to meet Tinker Bell. This meet and greet offers a FastPass, and waiting is inside so it makes it nice and comfortable. 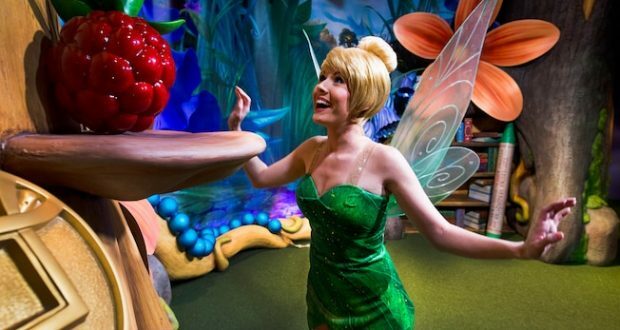 Tink’s area is full of fun props and it really feels like you’ve joined the Fairy World. And of course that cantankerous Tinker Bell is always fun to talk to and interact. But she hasn’t made it so I can fly yet. 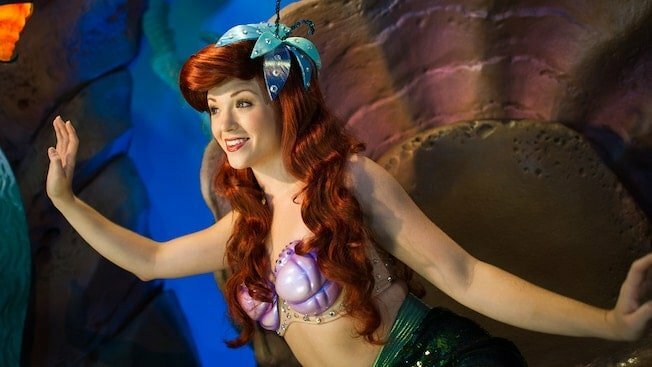 There are several places where you can meet Ariel at Walt Disney World as a human, but the only place to meet her in her Under the Sea World where she still has her mermaid tail is in Magic Kingdom’s Fantasyland. As you enter the grotto you are going under the sea, be sure to look up at the light fixtures, they are one of my favorite parts. As you enter to meet Arial she is seated at her clam shell, and makes for the cutest photo op. And as one of my favorite movies and Princesses there is always plenty to talk about with Ariel about the human world . . . and finding out what it is like to be a real mermaid under the sea. When lines to meet the famous Frozen sisters at Magic Kingdom were at 5 hours daily Walt Disney World knew they had to do something to satisfy guests’ need to meet Anna and Elsa. The solution was to build the Royal Sommerhus in Epcot’s Norway Pavilion. Here you can wait indoors to meet Queen Elsa and Princess Anna, who are wonderful hostesses at their summer house and great fun to talk with. But, the very best part of this meet and greet is the elaborate and beautiful theming of the queue line. You are actually walking through their Sommerhus to meet them, and each room is filled with traditional Norwegian folk art, props and more to look at while waiting. Not only does it help keep little ones (& not so little ones) occupied, but it gives you that immersive sense of being in that character’s world. Disney did a fantastic job on this one and I hope that future character meet and greets will be designed with as much attention to detail. 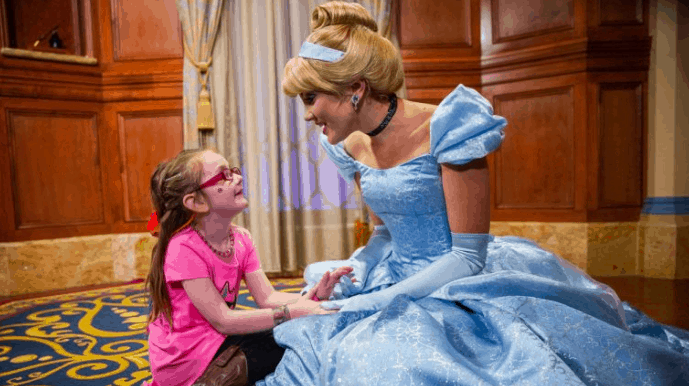 What are your favorite character meet & greets at Walt Disney World?